No. 4 seed Andy Murray takes on German Philipp Kohlschreiber, with their FedEx H2H series tied at 1-1. • Murray eased past Pospisil 6-1, 6-3 in his opening match. • Murray is visiting Indian Wells for the 10th time. His best run here came in 2009 when he finished runner-up (d. No. 2 Federer in SF, l. to No. 1 Nadal in F). The Scot has twice lost his opening match at this event, in 2011 (l. to Young) and 2012 (l. to Garcia-Lopez). • Murray opened his season by reaching the Australian Open final for the fourth time (l. to Djokovic). He fell to 2-6 in Grand Slam finals. • Murray lost in the QF of Rotterdam (l. to Simon) and Dubai (l. to Coric) in his only other tournament outings this year. 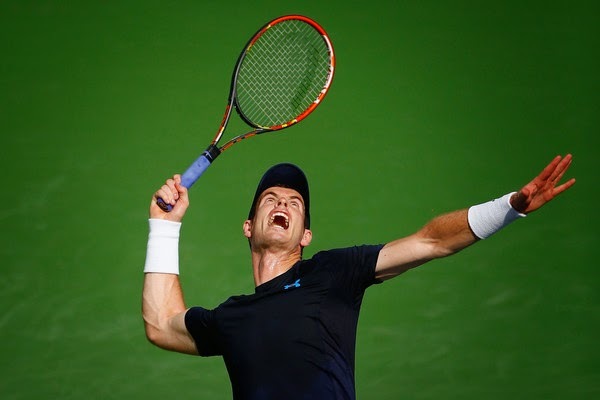 • Ahead of Indian Wells, Murray saw off Young and Isner in Glasgow to help Great Britain reach the Davis Cup World Group QF for the second year in a row with a 3-2 win over USA. 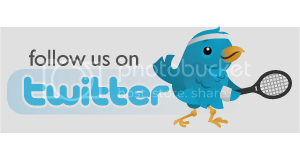 • Murray has an 18-3 record against German opposition. Thanks Matt for this great news!! Organizers of the Indianapolis Tennis Championships will try to sell the sanctioning rights for the ATP event. Kevin Martin, Tournament director, said that the event's nonprofit group faced serious economic challenges and had explored all options to stay in Indianapolis but they didn't find any solution and added that a sale was expected by the end of December. The Indianapolis Tennis Championships attendance reached nearly 100,000 fans when it drew stars such as John McEnroe and Pete Sampras but RCA ended its sponsorship deal after the 2006 event and attendance dropped to about 41,000 this year as fewer big names played. 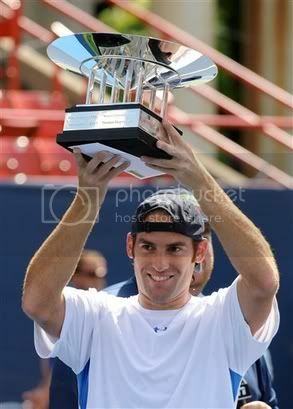 Robby Ginepri beat Sam Querrey 6-2 6-4 to win his second Indianapolis Championships title. “This tournament is very special for me,” Ginepri said. “Having won twice here is an amazing feeling. “This one has to be more special as I really never expected it,” he added, who missed playing on the tour from mid February to mid May after being hospitalised for nine days in March with appendicitis. Ginepri broke the third-seeded Querrey twice in the opening set and in the ninth game of the second, sealing victory in the next game when Querrey’s overhead return was long. “Sam has a big serve, but I got onto it early in the match,” Ginepri said. “If I hadn’t run him around court he would have taken control. Querrey said he was not at his best. “I didn’t have rhythm on serve today, it was not there,” Querrey said. Sam Querrey cruised into the Indianapolis Championships final with a 6-4 6-4 victory over Frank Dancevic and will face Robby Ginepri, who beat John Isner 6-4 6-3, in the final. The world No. 37 also made last week’s final at Newport, Rhode Island, losing to Rajeev Ram. 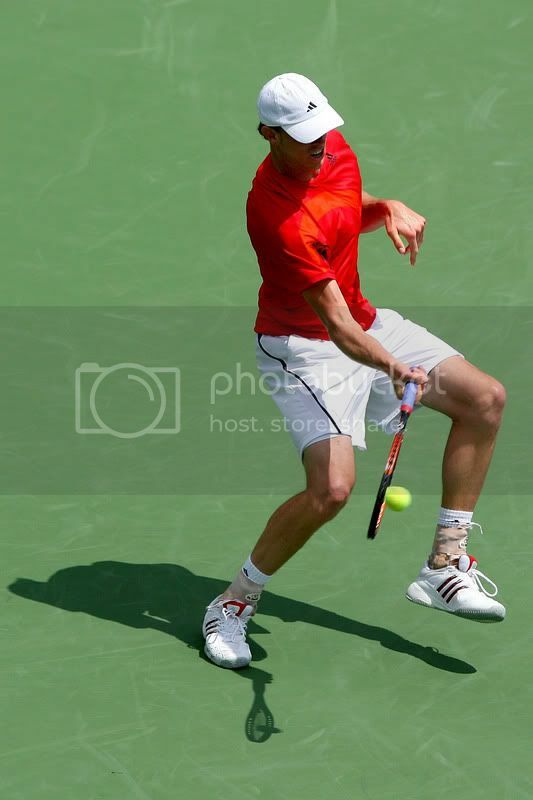 Querrey led the second set 4-0 before being broken twice by Dancevic, who beat top seed Dmitry Tursunov of Russia in the quarter-finals on Friday. Ginepri saved all five break points he faced while breaking Isner twice. “I had a lot of ups and downs in the past years,” Ginepri said. “I am still trying to find the form from 2005, but reaching the final here is very encouraging. 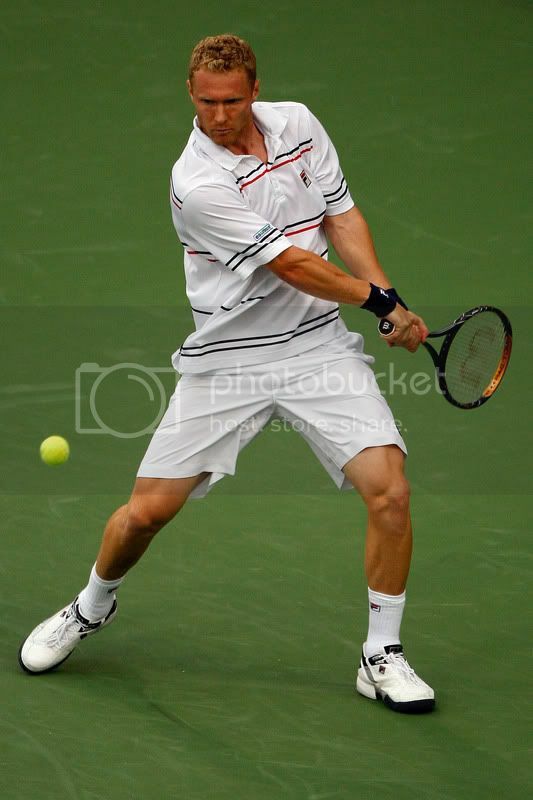 Dmitry Tursunov advanced into the last eight beating Marcos Daniel 6-3, 6-3 and will next face Frank Dancevic, who defeated Benjamin Becker 6-2, 7-5. Tursunov and Dancevic are long-time rivals, with the Russian beating the Canadian for the Indy title two years ago as well as the grass-court Eastbourne final in June. "In our last few matches I've tried to prevent him going for his shots. You have to try to rush him, keep him on the back foot," said the California-based Russian. "He's a shotmaker that you cannot take for granted. "I'll have to serve well and cut out more of my unforced errors. But I've been hitting some good shots even if I felt so lethargic during warm-up (after a rain-off on Wednesday) that I actually had to warm up twice." Dmitry Tursunov needed three sets to beat Michael Berrer in the first round of the Indianapolis Tennis Championships on Tuesday night. Tursunov returned to action after a 2 1/2 -week layoff and won 6-3, 2-6, 6-0. “It was my first match back,” said Tursunov. “It’s definitely difficult to go from not having to focus for a certain amount of time. I was playing well the first set, then I got a little bit tired. My mind started to wander a little bit. “Obviously, it’s a good year for me—my best year so far,” the 24-year-old Sela said. Tursunov next will play the winner of Wednesday’s first-round match between American Taylor Dent and Marcos Daniel of Brazil. Sam Querrey defeated Arnaud Clement 6-3, 6-4, to reach the second round of the Indianapolis Tennis Championships where he will face Ram in a rematch of the Newport final. A lucky loser who gained entry into the Newport draw, Ram went on to sweep both singles and doubles titles on the historic grass-court grounds of the International Tennis Hall of Fame. Ram rallied for a 6-7(3), 7-5, 6-3 victory over Querrey in the final to capture his first career ATP World Tour singles title. The Newport final presented a clash of styles as serve-and-volleyer Ram forced Querrey, primarily a power-based baseliner, to try to come up with passing shots. Querrey is hoping the truer bounce of the hard courts in Indianapolis will help his cause. "It's great to get another shot at Ram," Querrey said. "He's confident and he's won seven out of his last eight matches if you count Newport qualifying. He plays well and has talent at the net. It will be a tough one for me. We may be playing in his hometown, but I have a decent support group of my own." Querrey is bidding to reach his third consecutive Indianapolis semifinal. He lost to Gilles Simon in the 2008 semifinals a year after bowing to Dmitry Tursunov in the 2007 final four. "Maybe the sport spotlight is on me a bit but I don't mind at all," said Querrey. 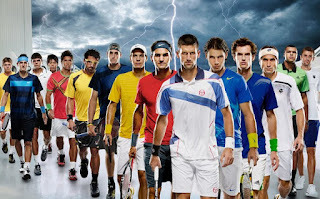 "Of course it would be better if Andy, James (Blake), Mardy (Fish) and the Bryan brothers were here. But they have other things going on." Rajeev Ram backed up the career-first title he won a week ago at Newport with a 6-3, 7-5 first-round victory over Devin Britton at the Indianapolis Tennis Championships. Ram claimed the Newport crown in a shock ending to an event where he only entered the main draw after Mardy Fish withdrew to make an emergency appearance for the US Davis Cup team in Croatia. Rajeev began well at his home event, which he has played on six previous occasions, never moving past the third round (2005). Ram now awaits the winner of the first round match between Sam Querrey and Arnaud Clement. Ram has found his self-confidence boosted by his showing in Newport and hopes to carry the momentum forward as he begins his summer cement season in the run-up to the US Open. "I played well but I'm really not surprised. This form only shows the results of my hard work over the past few seasons," said the journeyman who played only one more ATP-level match last year after Indy last July. He started 2009 with a first-round loss to Ivo Karlovic in Chennai, India. Ram was beaten in the first round at Wimbledon by German Philipp Petzschner, with Chennai, Wimbledon and Newport his only elite-level events so far in this year. Ram broke the inexperienced Britton three times to take victory in just over an hour and a quarter, under cloudy skies with a threat of rain. Russian Dmitry Tursunov, the 2007 champion and losing finalist a year ago to Frenchman Gilles Simon, takes the top seeding ahead ahead of Israeli Davis Cup standout from last weekend's upset of Russia, Dudi Sela. 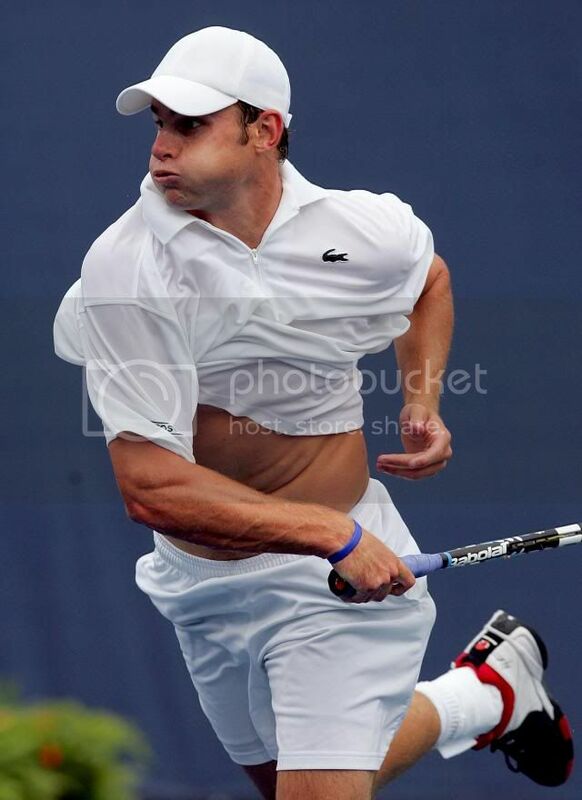 Andy Roddick has withdrawn from the Indianapolis Tennis Championships next week, citing a right hip flexor injury. 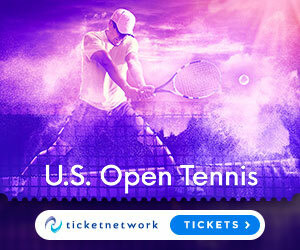 Kevin Martin, Indianapolis Tennis Championships tournament director, announced that Andy Roddick, who won this event in 2 occasions, will open play in the featured evening match on July 21. Martin said this will help fans to plan ahead to see fan favorite Roddick play. The session will be called Andy’s Day. It will benefit Andy Roddick Foundation, which was set up by Roddick and his mother to help children improve their educational and economic opportunities. “We are very excited about working with the tournament to make Tuesday night (July 21) a successful evening of tennis and fundraising. Our foundation is dedicated to brightening the future of children. We see this as perfect opportunity to make an even bigger difference for those in need.” Roddick said. The tournament has a special gift for spectators with the name of Andrew or a derivative of the name... they will get in free with a photo ID. Gilles Simon, second seed, won his first ATP title in the U.S. and 4th of his career after beating Dmitry Tursunov, 3rd seed and defending champion, 6-4 and 6-4, at the Indianapolis Tennis Championships. Simon is the first Frenchman to win the Indianapolis title. This was Simon's second title of the year, he was a winner in Casablanca in May, and he was making his first appearance in Indianapolis. He enjoy great wins during this tournament as he defeated Tommy Haas, 5th seed, and Sam Querrey, 4th seed. All his previous matches went to 3 sets. Gilles Simon, is ranked 25th and he saved eight break points in the third set of his win over Querrey in the semifinals, and on Sunday's final he did the same great job by saving all nine break points he faced. After breaking to take a 4-3 lead in the second set, he saved four in the eighth game as he battled back from love-40. The only break in the opening set came in the third game as Simon went up 2-1. He didn't face another break point and served out the 43-minute set. Dmitry Tursunov was attempting to become only the third player to repeat titles in Indianapolis, the first since Andy Roddick in 2003-04. Pete Sampras also won back-to-back in 1991-92. Tursunov's serve did not help him much today and he struggled on second serve points, winning only 34 percent compared to Simon's 64 percent. 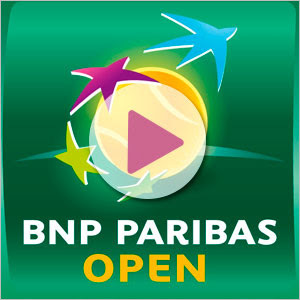 Simon converted two of six break points in the one hour and 35-minute match. “Today was my best match. I didn’t have many unforced errors, I had a good serve," said Simon, who is expected to move to around a career-high No. 21. "That was the match I wanted to play. I was very close to playing my best tennis. “It’s special for me because it’s not the kind of court I like best. I wanted to play a tournament just to get used to the court. This is a special win for me. It was really nice because every round I played a really good player. They were all good players with a big serve. “When I had a break point, he played good and I made errors. He got the break early and put some pressure on me. I have to go for my shots, and there’s little margin of error. When I get nervous, it shows. I needed to stay in those points a little longer, but it’s a bit surprising how many balls he gets to. In the beginning of the first set I was trying to hit it pretty hard, but it seems like he feeds off your pace.” said Tursunov. Simon is the first-week leader of the Olympus US Open Series. Gilles Simon left Dmitry Tursunov, defending champion, empty handed after taking the Indianapolis Tennis Championships title on Sunday with a 2 set victory. Dmitry Tursunov, defeing champion and third seed, fought back from a set down to upset James Blake, top seed, 4-6 6-3 6-4 and reach the final of the Indianapolis Championships on Saturday. The Russian will now face Gilles Simon after the Frenchman reached his first career ATP final in the United States with an exciting 6-3 4-6 6-4 win over Sam Querrey. Blake came into the match riding the momentum from a dominant performance in the quarter-finals where he dispatched Lu Yen-hsun 6-2 6-0. And he looked strong through the first set, where he held his serve comfortably. However, Tursunov produced a strong service set of his own, recording four aces on the way to taking the second. Tursunov broke Blake’s service twice in the final set, and fended off a late charge by saving a break point in the final game. The Russian has the chance to join Pete Sampras and Andy Roddick as the only players in the last three decades to defend the tournament title. In the other semi-final, Simon triumphed in sultry conditions against a tired Querrey in the first meeting between the pair. The 23-year-old Frenchman cruised through the first set with his opponent visibly struggling in the humid heat. Simon was 4-2 up in the second set and looked to have the match in the bag but, after receiving some treatment, Querrey found the energy and determination to fight back and take the set and go into a third. The advantage ebbed and flowed in the decisive set but a superb backhand from Simon at 4-4 turned the contest his way and booked him a place in Sunday’s final.